One of the great pleasures of our time in Greece is watching Spring arrive, and nowhere is that more evident than in the vineyards. 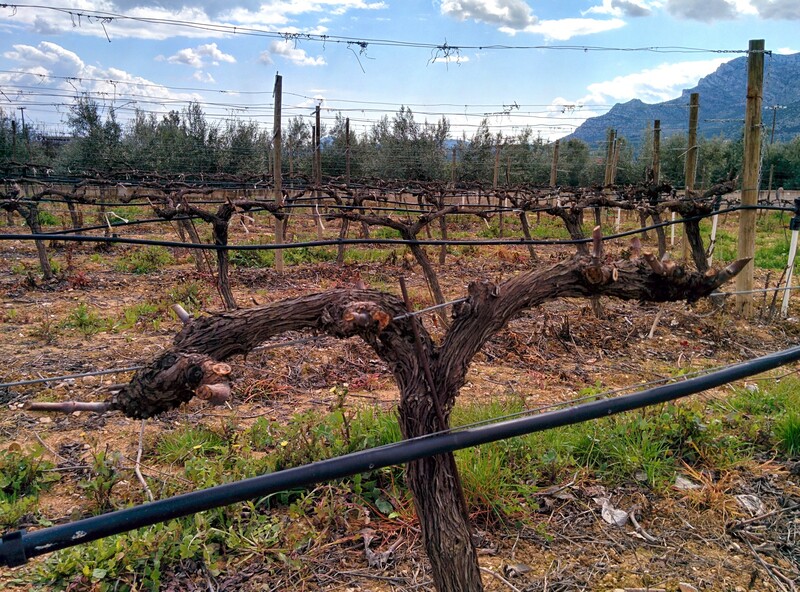 Taken today, this photo of a vine in lowland Nemea shows the growth stage we’re used to seeing when we arrive; carefully pruned back, dormant, and ready for the return of Spring. In just a few weeks, vines here and all over Korinthia will be showing long green shoots and, just a few weeks after that, leaves over the entire vine. While we focus on wine, Korinthia is also famous in Greece for its table grapes and raisins. The region is checked with vineyards, producing fruit we enjoy, in one form or another, year round. Our trip today took us to the Skouras Estate, a fine winery in a beautiful setting. 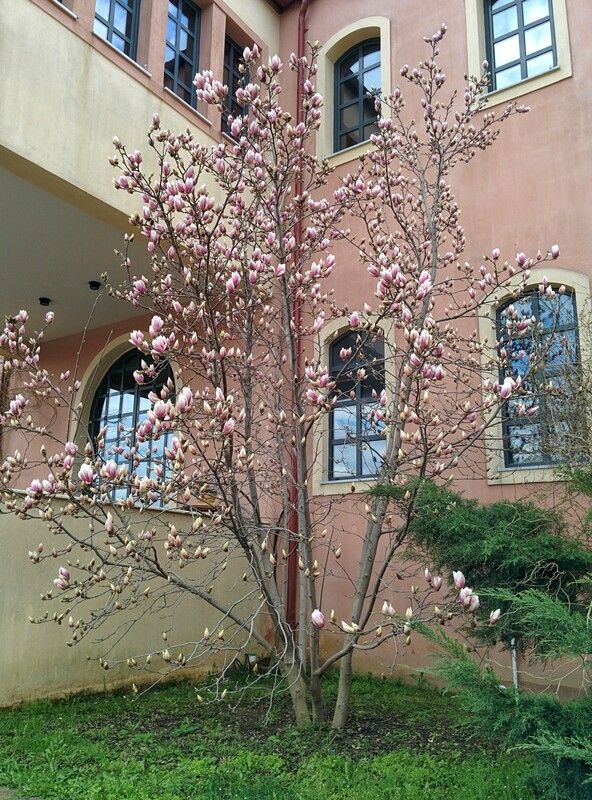 Just as a level-set, climate-wise, here’s a shot of a lovely magnolia in front of the winery. Back in wilds of Maryland, our magnolia won’t show like this for another 6 weeks.